Danbury Rising! 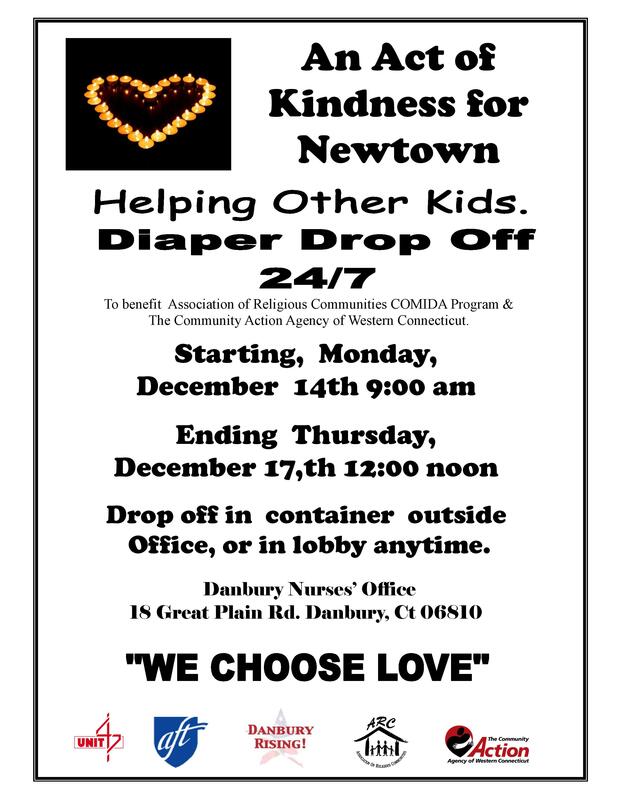 is helping families in need this holiday season and collecting diapers to be distributed through ARC – Association of Religious Communities, the Community Action Agency of Western CT and the Harambee Youth Center. Send email to danburyrising@gmail.com for more info and to make your donation.